We want our middle school students to love, worship and enjoy God through a personal, intimate relationship with Jesus Christ. Class begins and ends in the main sanctuary with corporate worship. During our time together, we have group teaching, bible reading and spend time in prayer. We also plan group activities throughout the year which allow our students a time to engage with their friends and leaders. Note: If you’re visiting for the first time, you will find our CityKids check-in team ready to help register your child (6th grade and below). 7th-12th graders attend our main service each week. We believe incorporating students into the life of the church is key in disciple-making. Gospel-centered community is the means by which we make disciples, and CLC’s are the primary way to engage in this type of community. Our (7th-12th graders) meet every other Wednesday (6:30-8:00pm) at the church to foster community, accountability and friendships. Since part of our vision is to empower parents to lead their kids, we will not have a youth ministry in the traditional sense of many churches. The Scriptures clearly teach that each parent is responsible for his or her own child and that responsibility should not be abdicated. 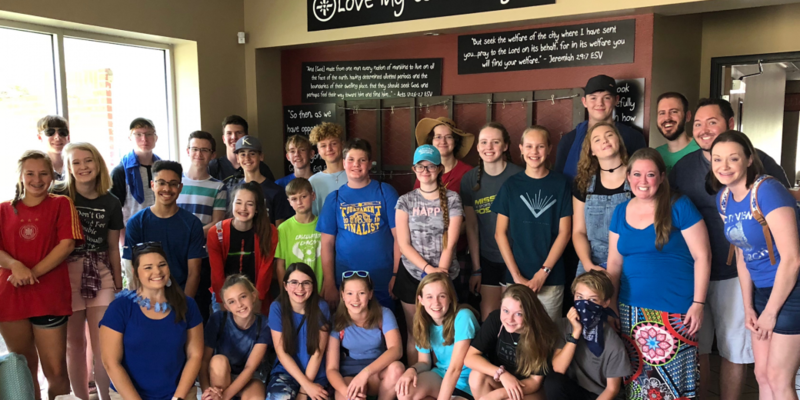 Therefore, while youth ministries are a poor substitute for parents, our hope is that our NextGen volunteers and the NextGen program will be a great partner and advocate for parents.